We are your one-stop-shop for anything and everything related to fantasy football. Whether it is preparing for your fantasy draft, identifying who to plug into your lineup each week or making smart waiver wire pickups -- we are here to help. Have a question? Why not Ask the Commish? ** Look for the following image to view VIP-only content! Get the edge on your competition by reading our full version of our world-reknown Sit or Start every week. Our free version offers analysis on only 8 players, but our VIP version offers 10 times that much advice with about 80 players analyzed each week. Yes, the full version of our most popular feature will require subscription to our un-matched VIP! "This year, you are only getting writeups on a handful of players for the free users and like [the other subscriber] said, you are getting a ton more analysis for the VIP Membership. If you ask me, as much as I like the Sit or Start, it's only a guide. I thought that I was getting a great deal just getting the VIP Benefits and using it for the personalized cheat sheets that were all based on league rules and scoring systems. The bonus games, SoS (Sit or Start), draft kit, personalized lineup recommendations, game breakdowns, etc. are all bonuses for me. This is the best $20 I have ever spent for fantasy anything, and it is so because it is constantly updated! You could spend $12 on [another site's] final magazine, but that information is locked as of whatever date it is published. Don't get me wrong, it is great information to keep in your library/throne room, but it won't help you even a month into the season." Our number crunchers have developed tools to help you calculate which players stand the best chance of excelling this year. Now our improved Numerical "Crunch Time" Services package can be yours to help you prepare for your draft! You really can't find a more comprehensive, downloadable draft kit anywhere on the web. And, considering its constantly being updated, it's better than magazines! See the Complete Fantasy Breakdown Including Individual Player Projections and Position-by-Position Analysis for all 32 teams! News alerts delivered directly to your inbox. You tell us which players you're interested in and we'll make sure that news about them is emailed to you as soon as it’s announced! Imagine injecting our world-class, Sit or Start content with hard-core statistical analysis! When you mix the two, you get our weekly Best Bets. We've taken subjective analysis completely out of the equation and replaced it with complex and accurate objective equations. Let our customized mathematical formulas predict who you should start each week! We identify a number of likely waiver wire players that you should pick up...and some players to avoid. Now you to analyze which teams are allowing the most points based upon your league scoring systems. So what are you waiting for? Sign-up today! Looking for League Management Software? Guess who sits atop our Power Rankings? 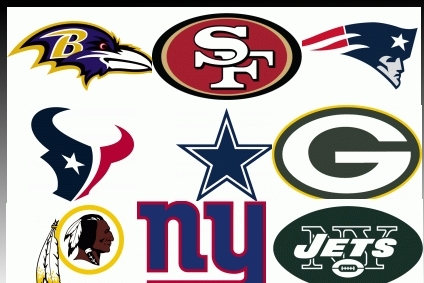 Take a look as the Commish ranks all 32 teams objectively by record and stats. The stats provide an in-depth look at how each team stacks up offensively and defensively.